Our annual pavement artist competition is an opportunity for primary and secondary aged children to draw using chalk on our pier. The competition is on from 2–4pm and is free to enter. Photography and filming will take place during this event. 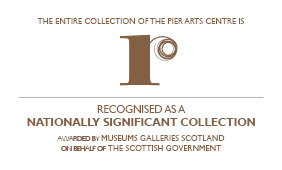 The Pier Art Centre is keen to promote and advertise its events and activities through social media and its press contacts. If participants are uncomfortable they should make their concern known to staff and their wish not to be photographed or filmed will be respected. Please note that by participating in this event you agree to the Pier Arts Centre using any photographic and video material recorded. Photos and videos may be used for archive or publicity purposes, attendee names will not be included with any publication.